On 26 April 1986, Reactor No 4 of the Chernobyl nuclear processing plant exploded, releasing radiation 90 to 150 times greater than that released by the Hiroshima bomb of World War Two. ‘SOS appeal. For God’s sake help us to get the children out’ Fax sent to Irish Campaign for Nuclear Disarmament (CND) by Ukrainian and Belarusian doctors. In 1991, Adi Roche, founder of Chernobyl Children’s Project International, received the above fax. It was to change her life. Building on years of experience working for Irish CND, she became a tireless campaigner on behalf of the survivors of the world’s worst nuclear accident. Now, to mark the 20th anniversary of the disaster, the woman who has become irrevocably associated with saving the lives of thousands of children delivers her testament to a disaster, the appalling legacy of which remains etched on the physical and emotional landscape of the devastated region. 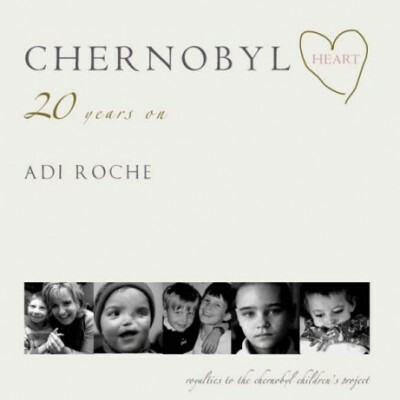 Including a foreword by President Mary McAleese alongside searing personal testimonies, remarkable photography and expert opinion, Chernobyl Heart tells of Adi’s struggle to help the survivors in their desperate attempts to rebuild their lives, a struggle that has taken her as far as the UN and the Oscars. Shocking, controversial, heartbreaking and honest, Chernobyl Heart serves not only as a memorial but also as a warning. It is a cry for compassion and humanity, fuelled by a desire that we do not forget how precarious life has become in the nuclear age. The images in the book – both harrowing and evocative – are testament to the pain and suffering that this incident inflicted.